Time marches on and The Core ModDB remains largely stagnant. Away from the mod, it's already a big year. First, family affairs. If this is of no interest to you, skip to paragraph 3. My son is a year old and starting to take his first steps, my daughter is four and will be starting school in the coming months. I'm excited, but apprehensive. On top of this significant stepping stone, she has also been officially diagnosed with a receptive/expressive language disorder. Long story short, she doesn't speak and cannot understand when she's being spoken to. It's a lot of hard work on a daily basis. This will make school life difficult to put it lightly. However, you're here to find out about the mod. Well, following a recent discussion (literally within the last 24 hours) Archie and I have decided that it is time to get more people playing The Core. Files have been prepped and compressed and we have discussed the details with a number of people closely related to the project. This weekend, during the Easter break, we are officially entering Closed Alpha! There is still work to be done. A lot of the story and dialogue only exists on paper (or in a document more specifically) but we will also be starting significant recording sessions in the coming days as well in order to nail down the major plot points of the mod. So that's the state of things. It won't be long before people besides the development team will be playing through the majority of the mod. Much like with family developments, I am excited but apprehensive. 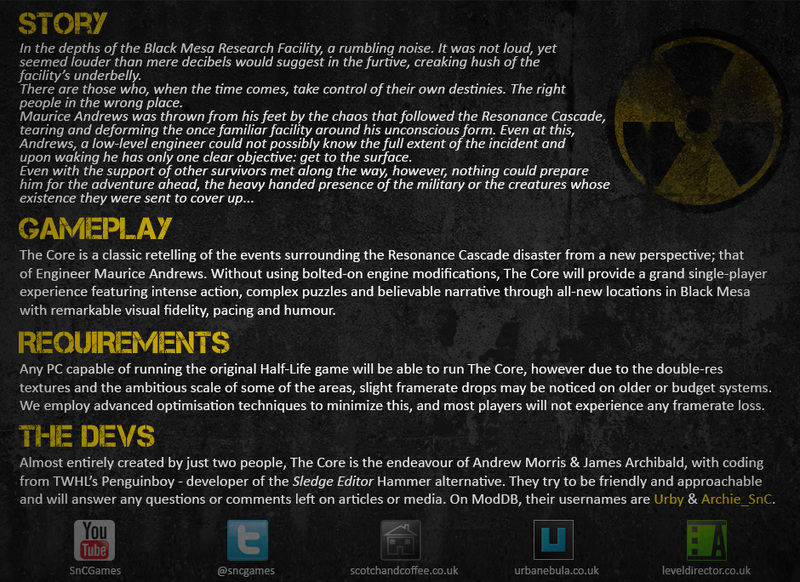 So we've not really had a lot to say over the last twelve months, but here is the latest regarding The Core and it's development. 2016 was our quietest year to date on Moddb with only a handful of images released on our page. 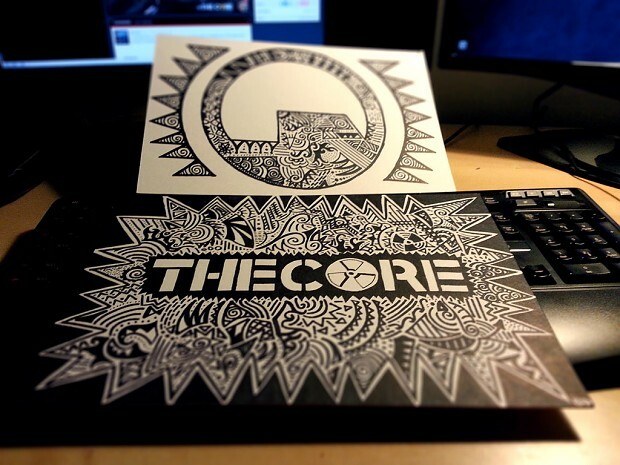 Where is The Core? Why are we not pushing for the upcoming MOTY award as normal? And this mod will have an Steam and WON version? Welcome. Pull up a chair. Get comfy. please. don't die, don't die. Pretty much the first thing I tell myself when I wake up and the last thing I tell myself when I fall asleep. Aww, when I saw the date of this update I thought "Yes, they finally released it, cancel all other games, let's dl and play this!". I only heard about this recently on OCUK. That video (the trailer you have on YouTube) is amazing, it looks class. That trailer is pretty out of date compared to what we have in the mod now, but hopefully the end result will be worth the wait. When will the Core Release? So... We've been talking about The Core. Planning things. Prepping files. Next step, sending links. The Core will be released tomorrow or something.